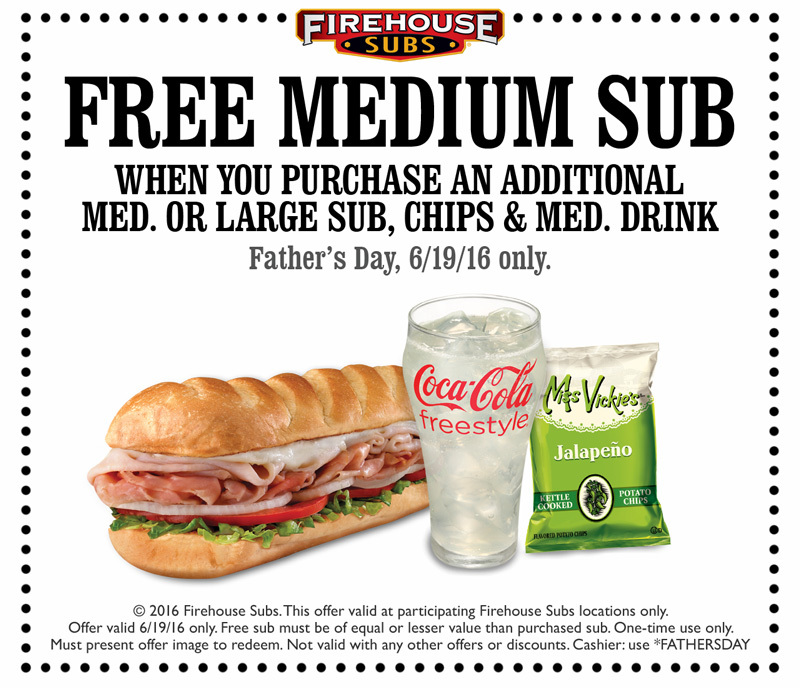 2016 Father's Day Freebies & Deals! 2016 Father’s Day Freebies & Deals! We’ve compiled a list of this year’s Father’s Day Freebies and Deals! Click on any of the links below for more details about that offer. Weinerschnitzel – Free Chili Dog for Dad! Spaghetti Warehouse – Free Lasagne or Spaghetti Entree! Magic Chef Manual XL Air Fryer Possibly $11.99 SHIPPED – DEAL OF THE YEAR! Free $50 To Spend At Swim Outlet TODAY ONLY! YES! Totally FREE Burger at Red Robin! OMG! FREE Chocolate Cake at Olive Garden!